–Outstanding outing by Homer Bailey: six innings of shutout baseball, allowed three hits and one walk, and struck out 11 Milwaukee batters. Homer is back. –Adam Duvall hit his 27th home run, a mammoth blast that gave the Reds a 2-0 lead in the second inning. On the night, Duvall was 3-4 with two runs scored and an RBI. –Brandon Phillips continued to hit well, going 3-5 with a double, an RBI, and a run scored. Joey Votto had two hits, a walk, and two runs scored. Billy Hamilton had a hit, a walk, and three stolen bases. –Ross Ohlendorf gave up a home run to deep center field in the eighth, ruining the shutout. Raise your hands if you’re surprised. –Keyvius Sampson came on and vomited all over the mound in the bottom of the ninth. Zack Cozart made an error that didn’t help, but Sampson ultimately surrendered a LONG three-run home run to pinch-hitter Manny Pina that made the game 7-4. Raisel Iglesias was then brought on to finish the game. 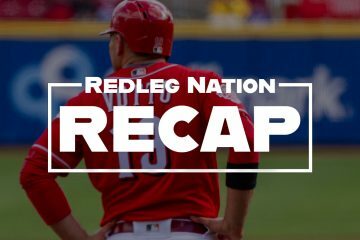 –Reds continue to play strong baseball. Really happy to see Homer Bailey pitch so well tonight. That’s the Bailey we will need to see next year, and beyond. –The Brewers are awful. How are the Reds behind them in the standings? –Hamilton’s three stolen bases give him 51 on the season. Hamilton is the third Reds player with at least three 50-steal seasons (Joe Morgan 5, Bob Bescher 4). Hamilton's 13 multi-steal games are a single-season career high and the most by a Reds batter since Eric Davis had 20 in 1986. 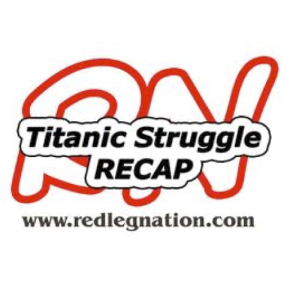 –Are you coming to the Redleg Nation/Red Reporter Meetup? You should come and talk baseball with us! –New podcast is going to go live soon. Better go listen to the last episode now! –Dan Straily will try to win game two of the series on Saturday evening. Tweet time! With 13 strikeouts, Reds pitchers have tied their season high for a 9-inning game (5/25 at LAD). According to Thom Brennaman, Ivan DeJesus Jr. was one of the best players on the Reds team coming out of spring training last year. Podcast — RNR #143: Are the Reds going in the right direction? Good to see Duvall have a bounce back night (5/6 on base). With tonight following a day off and being played in a closed dome, I can’t help but wonder if his medical issue is impacting his stamina, particularly at this point in the summer and baseball season. I hadn’t heard about his medical issue. Can somebody tell me what it is? Not that have diabetes is ever a good thing, but I hoping this explains why he lost his prospect status and got relegated to a throw in and he can maintain playing at AllStar levels from years to come. Does Iggy’s appearance to clean up the mess in the 9th represent a changing of the guard even though he apparently will not be available back to back? I thought that move was a little knee jerk. I also think qualifying Sampson outing as vomited all over the mound a little harsh. I realize he gave up a homerun but this was with 2 outs, what is he supposed to pitch around a guy with a 6 run lead? He should walk the batter either but all the runs were unearned, I think he should got a chance to face the light hitting catcher. After that horrible melt down the other night in St. Louis I was glad Price brought Iggy in. How about a 4 run lead with 2 outs and 1 on? That was the situation the other night. That kind of meltdown makes anyone nervous a couple of games later. Win the game. That’s it. I understand he had to get loose but how many pitches did he throw in this appearance 1? I was letting the dogs out and missed it I just know it was quick. There should be no way that he isn’t available for tonight’s game if needed. The only thing would be that DA…………………DBURN book that has him unavailable on back to back nights. That might be an overreaction I will let the professionals make the decisions, their plan of how he works if it keeps him healthy is the main thing! I am still holding out hope that one of the three ( Iggy, Lorenzen or Cingrani) makes the rotation but if not that is 3 strong bullpen pieces. Seeing the Reds burn Lorenzen for an inning at 4-0 then use Iglesias over Cngrani seems like poor pen management. The last two days has been this supposed non-consecutive issue and when given the chance to preserve one/ stagger them, Price eschews it. That was my first thought too. But I’m not sure a four-run lead is enough for Cingrani. It wasn’t a few days ago…. Of course, good luck Saturday, now that Iglesias and Lorenzen were both used Friday and can’t appear on consecutive days. Naw, I just meant that I wasn’t sure Cingrani would be ready to pitch again after that Monday debacle. Four runs should be enough for any major league caliber pitcher who needs to get only three outs, obviously. Perhaps it would have been suitable to get him back in the saddle Friday night, but a 4-run lead, again, with one inning to go, again. … I wonder if Price was concerned how he would handle it. Price has done nothing but deflate Cingrani’s confidence for 2 straight seasons.The guy has a bad night so he sits him.He wont use him in a save situation unless Iggy is unavailable.At the same time he is saying Iggy’s not my closer. Get Price outta here.He is destructive to our kids heads. You want to see someone deflate the confidence of a good pitcher try looking at Rizzo of the Nats and what he did (twice) to Drew Storen. Price and Cingrani have a long history. Maybe Cingrani needs some tough love at times. Everyone throws a complete clunker every now and then. I would have liked to have seen him back out there too. I think we’re going to see Iglesias as the closer and thus bound by closer rules for the remainder of his time as a Reds player. That’s just sad. Stolen bases are fun, but BH actually getting on base is a lot more fun! Yep, and he’s been doing it an awful lot lately. It’s a good thing. So Ross ohlendorf is still pitching for the Reds because….? At least he wasn’t used in a 1-run situation. That’s progress. It’s a long season plus the All-Star break meantÃ¢â‚¬Â¦no breakÃ¢â‚¬Â¦for Duvall. Or Doo-val as Jim Kelch calls him. Anyway, I know Adam has struggled but nice to see him step up again. Exceeded everyone’s expectations. Now as for OhlendorfÃ¢â‚¬Â¦why? DFA ASAP. Homer was dealin’ but think about an entire season with a healthy Homer and Disco. That’s a nice 1-2 SP punch. Great job by Homer but it is sad when it takes 4 pitchers to get 9 outs and two of them can’t pitch tomorrow regardless. This. No lead is secure. Don’t look now but Hamilton’s OBP is a percentage point higher than Cozarts! Of course coming into the year Cozart’s career OBP was in the .280’s, so grain of salt note. I’ve always maintained that if Billy can get in the .310-.320 range in OBP he’d be playable at the top of the line up with his speed. Still not ideal, but I think he’s disruptive enough to make it work. It is disheartening to see only two Reds above .320 in OBP, and it’s been the top two Reds most of the year (with Bruce gone) in Votto and Barnhart. Winker and Senzel should help in the near future and I think Suarez can get it up to about league average if his batting average returns to normal level. Phillip Ervin is someone who’s always maintained a solid walk rate and may be able to help in that area as well. I noticed BH was at 310 OBP when looking at the box score this morning. That has to be up quite a bit from earlier this year. With his running skills, BH could be a good leadoff hitter if he can just be around league average OBP. Pitchers can only throw so many pitches over a career. Why not use Olendork or Cingrani, save a little arm with Inglesias and Lorenzen. I think they are doing the right thing for this year. If they bring proven ineptness from Goodyear back to Cincinnati next spring then we have a problem. Have way to many young potential to have such players on next years roster. The problem is they do not want all of the good players contract clocks ticking at the same time. Maybe all our pitchers can come up with a hook like Homer has. Not going to make it far with only fastball/slider. Batting .300 with 18 runs scored and 29 steals! He’s special when he’s getting on base!! Good to see Duvall have a good night too! You can tell he’s listening to Don Long. He was hacking at the first pitch almost every atbat and either hacking at a ball or a pitchers pitch. He’s trying to be more selective and he had a hit to right-center last night which is a good sign! Too many 5-3 and 6-3 groundouts on pitches away lately! I like the guy and if they could build a lineup where he’s batting 6th then the Reds would be scoring a lot of runs again! It appears to me he is trying to bunt less often. I think that’s why he is getting better. Jesse Winker was 1-5 w/ 2-BB. Since returning from his rehab assignment, Winker is slashing .330/.413/.406 in 121 PA.
Nick Senzel was 2-4. Since his promotion to Dayton, Senzel is slashing .313/.413/.552 in 162 PA. Senzel also has 8 errors in 96 chances at 3B for the Dragons. Keep hitting Nick and there will be a position for you on the 25-man roster in a year or two, even if it’s not at 3B. Fatigue could be a contributing factor for Duvall, whether related to his diabetes or simply his first full season as a starter at the major league level. It’s a long season and without a respite during the all star break. Duvall’s hom run last night may have been his most impressive of the season. That was a line drive to the elevated seats in deep LF. That ball was crushed but didn’t have the elevation of some of his other lofted home runs. Since the all star break, Duvall is slashing .230/.337/.448 w/ an 11.9% BB% & a 22.8% SO% in 101 PA. Prior to the all star break, Duvall was slashing .249/.288/.551 with a 5.0% BB% & 29.0% SO% in 324 PA. That’s a much different plate approach before and after the all star break. I like the change in approach for Duvall. If he can improve on his results while he continues to work on his change in approach to increase his BA to the .260 range, he’s a 3rd/4th slot hitter rather than a 5th/6th slot hitter in the lineup. Apparently Hamilton and Duvall have been working with Votto on their plate approach. Starting to pay dividends. As an older guy who sometimes finds one foot in the new school and the other still stuck in the old school, I can’t help but take a few fleeting bits of perverse pleasure from the fact that as Duvall’s BB rate has climbed and K rate dropped into the ranges cited as middle of the road, his OPS has dropped. 🙂 This said, in the long haul, the new approach should serve him better. As an older guy who sometimes can’t find himself at all, I find Duvall’s willingness to make the change contrary to his entire professional career to this point very refreshing and courageous. Duvall has begun filling the role vacated by the ToddFather as my favorite player on the Reds roster. Very True for me too except that TF wasn’t my previous favorite. That would have been Cueto and previously Arroyo. In considering Duvall’s stamina, it probably should also be figured in that this is his first year of running around in the outfield every day at any level of professional play which would seem to be more wear and tear than playing 1st or 3rd. Duvall’s diabetes was discovered during the 2012 season. Going through the process of learning how to play professionally with it could explain in part why he seems to be a late bloomer; and could provide reason to take a wait and see attitude as to whether he is at his peak of will continue to grow and progress as a player. Great points. Duvall is having a great year considering this is his first full season as a regular, playing a position full time that had been just a utility role. I’m so encouraged that he and Hamilton are using Joey to improve their games. I mentioned earlier in the year that Votto would be a hell of a hitting coach, maybe even player/coach in that regard. Still feel that way. Last night’s game was a Votto clinic on hitting, especially that directed hit to left. I’m not a young guy either, doze off occasionally after a long day and might miss a half inning here or there, but try not to ever miss a Votto at bat. He’s a thinking man’s hitter. I too, think it is a little harsh to say Sampson vomited all over the mound. True he was not stellar, no he was not good, but after sitting around with only his third appearance since his very good start, I don’t think we could expect much else. Pitch the guy and get rid of Ohlendorf. At least Sampson has a possible future. Price has two relievers, Smith and Sampson, reserved for long relief. Having them available for long relief and RESERVED for long relief are completely different roles. Being reserved for long relief is a perverse and dysfunction utilization. Being available for long relief is a positive asset and utilization within the bullpen. Of course Price sets the role with strict dusfunctional adherence so whe the opportunity to pitch does arrive, the pitcher is not prepared to pitch effectively. I only partly agree. It is a fine line making sure your long-relievers have enough work to stay sharp but not too much work that they are not available to work in long relief. It’s almost inevitable that when you decide to give your long-guy an inning or two of work, he’ll be needed to go multiple innings the next game. One way around that is to get them some work before a scheduled off day if there is an inning you can give them without too much risk to the game’s outcome. Usually your long-guy isn’t your best bullpen arm and you don’t generally want them working high-leverage innings. 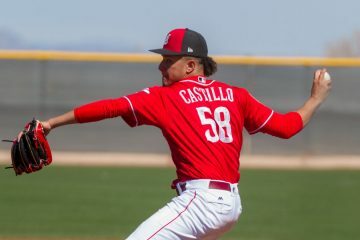 That said, I like that the Reds have two long men and I’d deploy one of them in more of a mop-up role and the other in more of a role to try to keep the team in a game if the starter exits early. The Reds do have a luxury of having 2 long guys so I would think it might be easier to make sure at least one of them is always available while keeping them sharp. This is where I agree with you the most. I am not diabetic but have lived around it for the last32 years. My Ex-wife, brother and son are all insulin dependent diabetics. My ex-wife wears the pump and it is a computer controlled mechanical pancreas that has helped her control tremendously since she started using it. My best friend is also diabetic though no longer insulin dependent due to exercise and diet. The thing that all 4 of these folks have in common is lack of stamina, that is in just everyday life I am not talking about an athlete. This is an observation it may not be the case in all diabetics. I will say that 4 years is a fairly short time that Duvall has been aware of his condition, not really much of a chance to learn his body and reaction. His ability to read his body reacting to sugar drops will improve as he deals with it going forward. My best friend and mentor intentionally allows his blood sugar to run a little high he says it makes him feel better and have more energy ( I am not advocating this, high blood sugars are very hard on organs) . This may not be allowed and if so I am sorry and feel free to delete BUT if you are considering a charity to support the JDF is a great one! IMO the lack of stamina and the change in the number of games, so many of them being in the OF along with the stress of doing it against the best in the world at their craft are all things that should affect him less going forward.